A little while ago I was asked by the fabulous Emily from HandmadebyEmily to curate a selection of 5 colours from the extensive Kona solids range for her Aussie Kona Club. 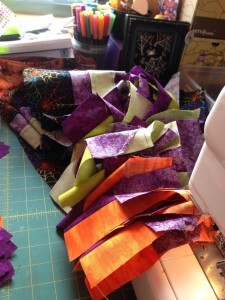 Having not really worked with Kona solids before I did have a bit of trouble choosing from over 300 colours, but as I love Halloween colours and tones I decided to run with it and see what happened. Instructions are below to make one block but I will be making a few to make a table runner. 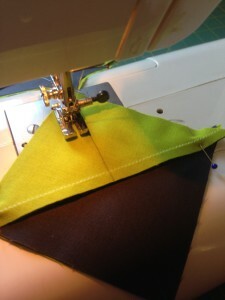 Pin the right sides of one solid Peapod square and one Charcoal square together. 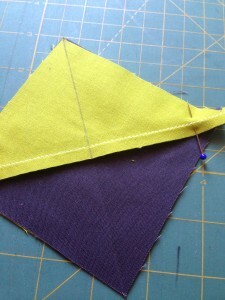 Draw a line across the diagonal on the lighter fabric. 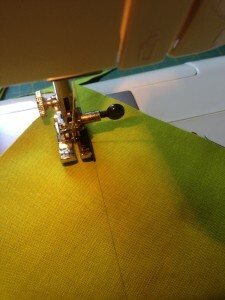 Stitch a 1/4in on both sides of the drawn line. Cut along the pencil line. 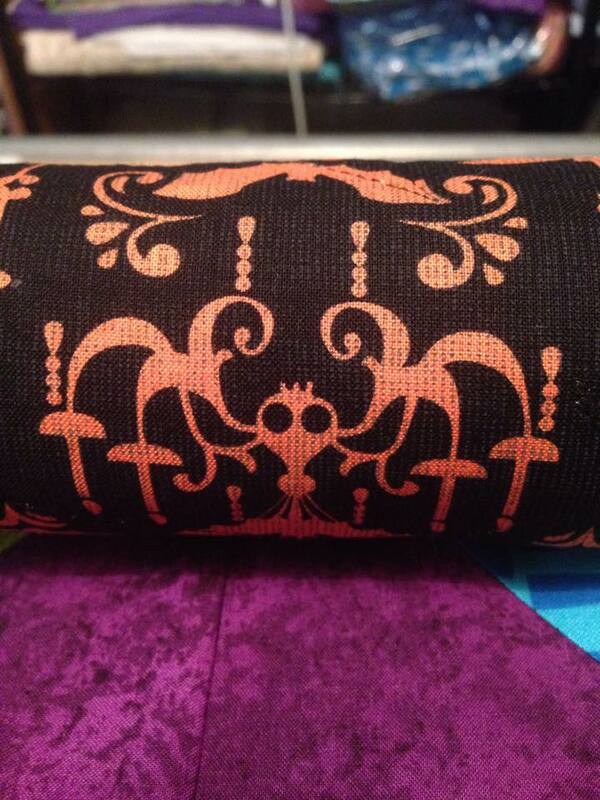 Press the seams to the darker fabric. 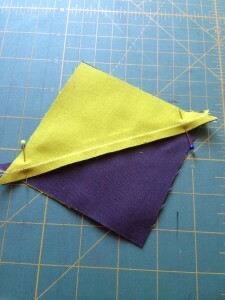 Pin the right sides of the opposing fabrics together, abutting the seams. Draw a line across the diagonal. 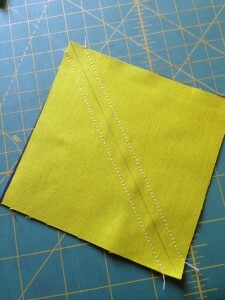 Stitch a 1/4in on both sides of the drawn line. Cut along the pencil line. Press the seams. Makes 10, but you only need 9 units per block. 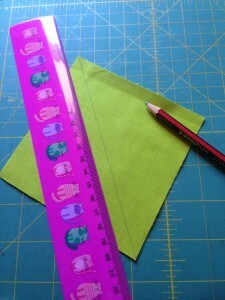 Trim blocks to 3 1/2in square, checking the angles with a 45degree marking on your ruler. Piece together in rows. 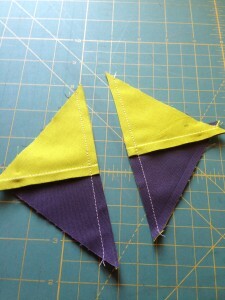 Then once all rows are pieced, press the seams in alternating directions per row. Eg. rows 1, 3 and 5 press to the left and rows 2 and 4 press to the right. Pin rows together abutting the seams and join. Press the seams and trim up the block to ensure a 15in finish raw edge to raw edge. 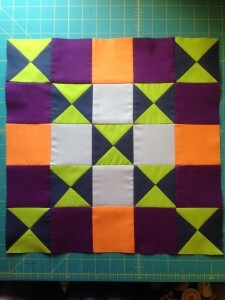 As you can see the secondary and even tertiary designs made by this block create interesting effects. I’d love to see what everyone makes so feel free to post me pictures. 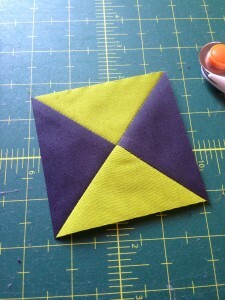 I love making this block and curating a set of solids for Emily – loads of fun! 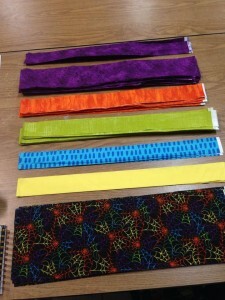 A few weeks ago Caroline of Nightingale Quilts put a call out for pattern testers. Now those of you who know my backstory know that I’ve worked for some of the craft magazines and that part of what I did was work on instructions – so naturally I jumped at the chance! 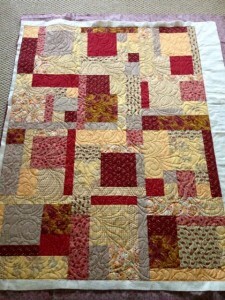 Caroline has designed a quilt that was quick, efficient and stunning. As you know I’m not one to work to someone else’s pattern as I’m usually designing my own. It is rare that I purchase a pattern or follow along with someone else’s creative process but something about this pattern drew me in. As I finished cutting I decided to not use the yellow. I pieced some sections while I was at the shop and packed it all in a tub ready to go when I got home. And then I set myself up for a sewing session! I am a fast sewer and I also have no obligations (read: no kids) so for me it was a case of sit and sew until it was done. I timed myself to see roughly how long it would take (curious) and it was just over 15 hours to cut and piece. Quilting took me about 4 days (not solidly working on it, in and around other things) and binding took me an hour. This quilt is a fabulous all rounder project – good for those just starting out, a quick one for those with more experience and one that works in all fabric styles for the perfect gift. Mine is currently on my bed as it will be the quilt that I use in this warmer weather and the orange matches my bedroom curtains perfectly! 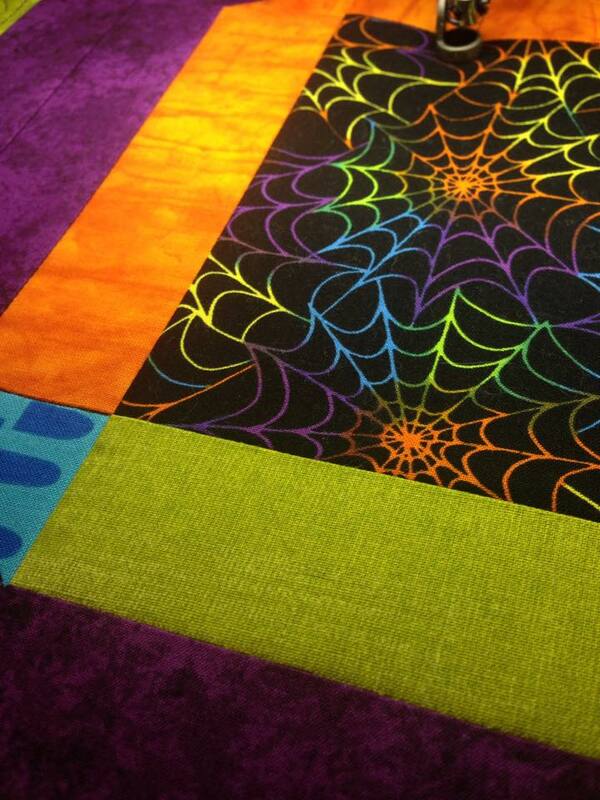 I decided that I would quilt mine in an allover spiderweb pantograph from Dave Hudson. 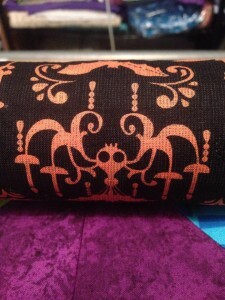 My backing fabric is called Scary Chandelier from Michael Miller. I have some in white for sale if anyone is interested (PM, email or ring for details). I loved making this quilt. So much that I put aside pretty much everything else I was working on to make it. I felt rejuvenated after making it – taking the time out from my usual schedule to pattern test for Caroline helped me re-focus on my own work. My finished version of Cushion Cut! Well…. Caroline has graciously given all the pattern testers a FREE PDF copy of her pattern to give away to one of our followers. To enter simply head over to my IG and like the picture, tag a friend and I will draw one winner at random tomorrow evening (30th August AEST). If you don’t have IG please comment below on this blog post. 10% of every cushion cut quilt top sent to me for machine quilting will be donated to Caroline to help her care for her rescue flying foxes and bats. You can read more about what she does here. I’ll be back with a list of the other testers so you can go and check out their designs! I have been well and truly incommunicado with this little blog of mine for almost 6 weeks! Things have been rolling along with classes and all sorts of other exciting things (including general life stuff) that I haven’t been back here. But now I am back into the swing of things! We’ve spoken in the past of charity quilting and this post I’d like to introduce Anita from Daydreams of Quilts. 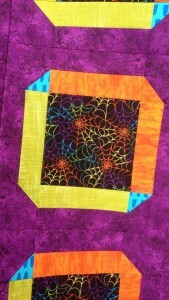 How did you get into quilting for charity? I knew about Quilts of Valour for years but I didn’t feel I had time to sew for them with babies in the house. My husband is a Canadian soldier so I know quite a few soldiers and their wives. I have probably known more soldiers with Post Traumatic Stress Disorder than without. After hearing from some of the wives what their husband’s were going through I wanted to help but I didn’t know what I could do. 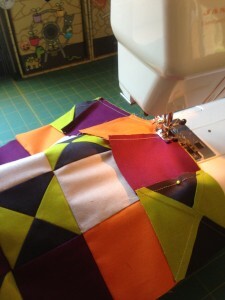 Then it occurred to me that I could sew quilts. 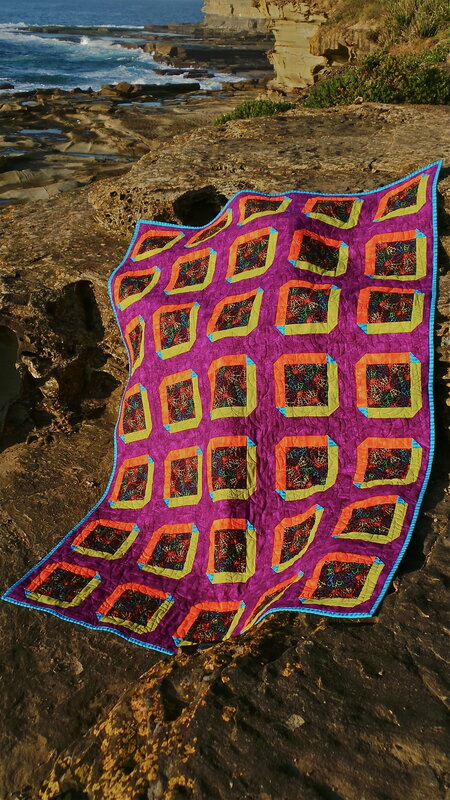 Quilts are a source of comfort, warmth, security and they can be healing. How long have you been doing it for? 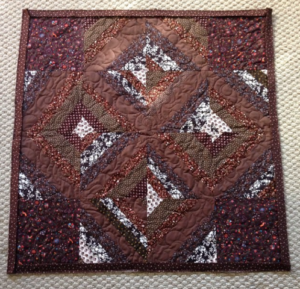 I sewed my first Quilt of Valour in 2013. 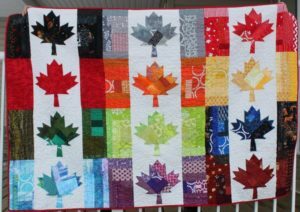 This Rainbow Canadian flag quilt was sewn with a pattern by Cheryl Arkison and was given to a Candadian soldier with (PTSD). 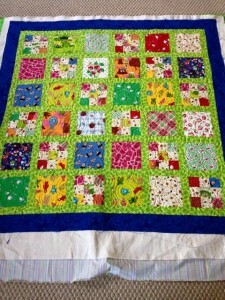 What charity/charities do you quilt for? 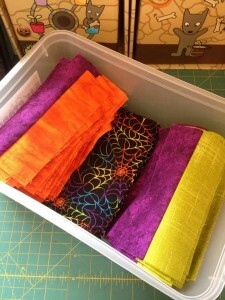 Do you make quilt tops, complete quilts or just long-arm for them? 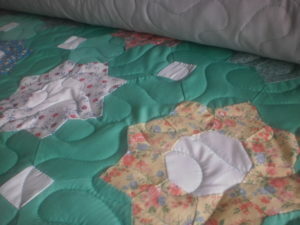 I make complete quilts. There are some who just make tops and some who long arm them. I make them from start to finish. I quilt them on my Juki. My Juki was left to me by a friend who died of breast cancer. In her last letter to me she asked that I consider making some Quilts of Valour with the machine so of course that’s what I did. 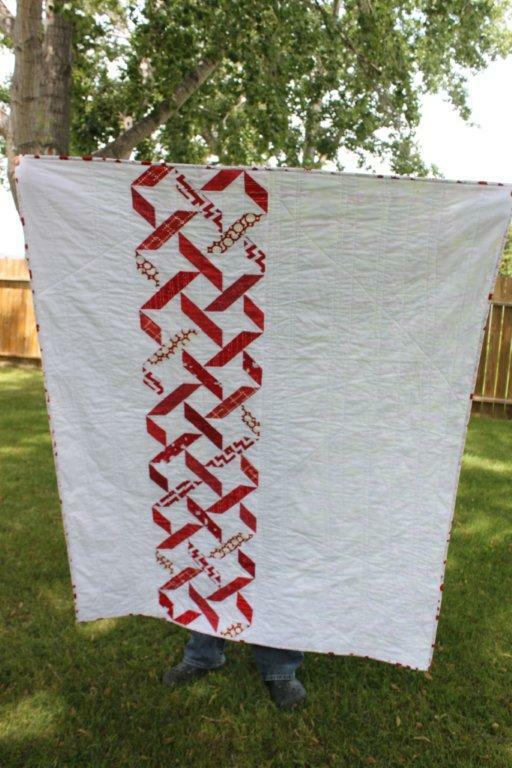 This Red and White quilt was sewn with a pattern by Lee Heinrich of Freshly Pieced and was given to a Canadian Soldier with Post Traumatic Stress Disorder (PTSD). How many quilts would you do in a year? Last year (2014) I did three quilts; two for Quilts of Valour and one for the MFRC. In 2013 I sewed one. Now I have a new baby so I don’t think I’ll get one done this year. If you long-arm – do you assess a charity quilt in a different way to a customer’s quilt, or even one of your own, for quilting? Are you asked to do certain quilting designs or given free reign? 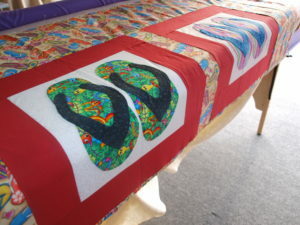 What do you enjoy most about quilting for charity? I enjoy feeling that I could share my talents to help someone feel better in their time of need. The reaction from the recipients and their families is also very special. It usually involves tears and a lump in the throat on both sides, mine and theirs. 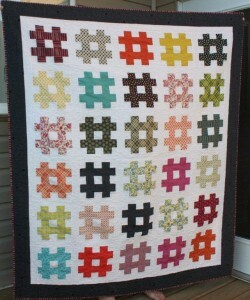 This Hashtag quilt was sewn with a pattern by Camille Roskelley. This one was donated to the Military Family Resource Centre for a fundraising quilt raffle. How would you encourage others to start? Check if your chosen charity has a website and if they have guidelines to follow. Quilts of Valour Canada is specific to quilting and they do have guidelines on their site. 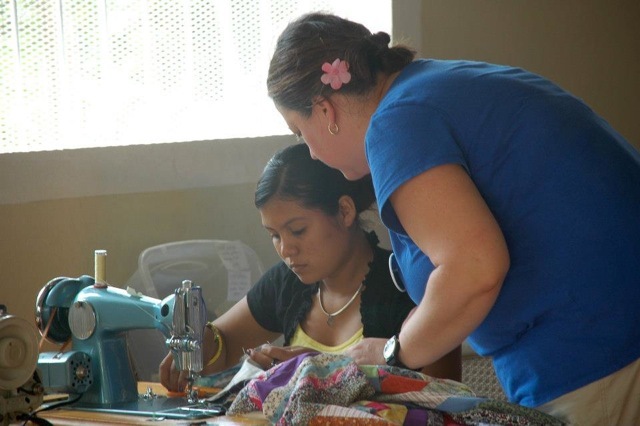 If you are wanting to sew for a charity that is not specific to quilting contact them and ask who you should speak to. Often there is a volunteer coordinator or a fundraising coordinator that you can speak to. I am an “insider” with the military so I know the people who are in need of a quilt. Most people would sew a quilt and send it to Quilts of Valour Canada. I sew specifically for a soldier that I know and send it to him. I then send photos of the quilts to Quilts of Valour Canada for their records. I do not reveal the names of the people I send to (Post Traumatic Stress Disorder is often a very private struggle) but I do say where they are located. I always make a label that says “Quilt of Valour” Made for: (military rank)so and so Made by: Anita LaHay and the year and place where it was made. 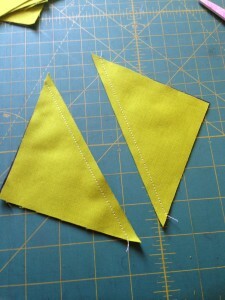 I find it very helpful to know the person I am sewing for . It helps me to be inspired and come up with ideas suited to that person. Knowing what they are going through also helps me to push through the frustrations that sometimes come up when making a quilt that is bigger than a lap quilt. 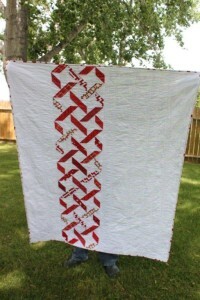 All my quilts are sewn with Quilter’s cotton, cotton batting and high quality cotton thread. 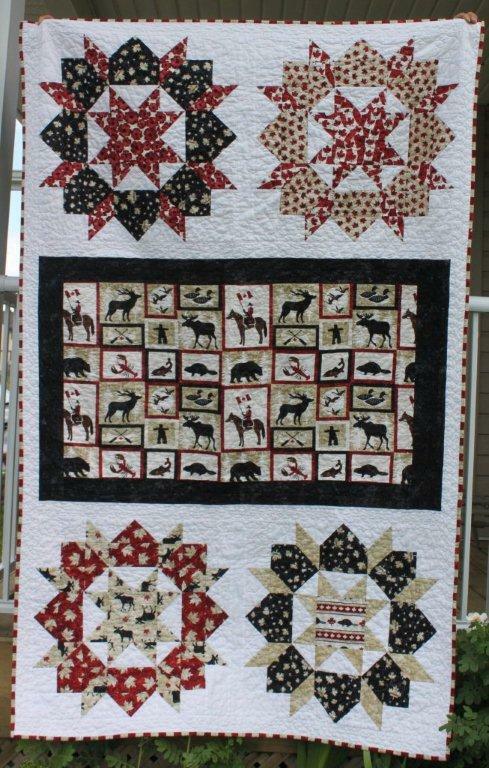 This quilt with the Canadian themed panel and swoon blocks was my arrangement using the Swoon pattern by Camille Roskelley. Some of you have been waiting an age for me to get some classes sorted and let you know what’s happening. BUT due to the general chaos that has been the start of this year, the lack of commitment from the venues I was chasing and the lack of space in my own house I had to put it all off. A few weeks ago I was offered a teaching position at the Hobbysew store at Erina Fair. I accepted and classes start this weekend. If anyone who follows me here is interested in attending please follow the link to book in via the Hobbysew website or ring the girls at the Erina store on (02) 4365 1127.
http://www.hobbysew.com.au/classes.aspx – ensure you select the Erina store. If anyone has any questions about the classes please let me know. There are full class descriptions on the booking forms. 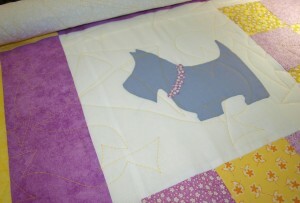 A little while ago I posted this blog here about the charity quilting that I do for BlanketLovez. 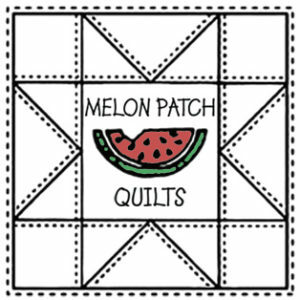 This week I’ll be chatting to Kristyn from Melon Patch Quilts about the charity work she does for a variety of worthwhile causes. 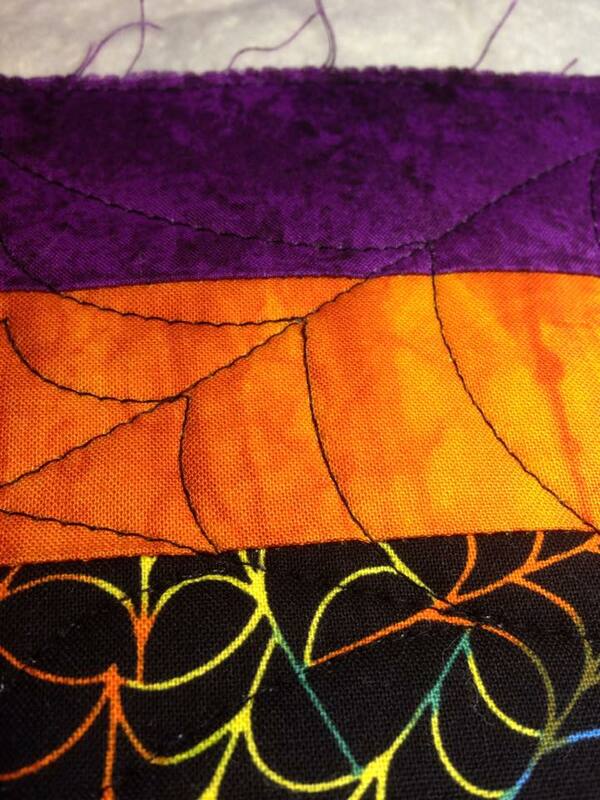 I first got into charity quilting when I joined my local quilt guild and started my long-arm quilting business. The guild needed their charity quilts finished and I wanted to practice some designs and patterns, so it benefitted both of us. Since I started my business 14 years ago. This is only a brief list of the organizations I have quilted for: Quilts of Valour, Make a Wish, various local churches, local sports teams, local Home and School organizations, local Quilt Guilds, May Court, Habitat for Humanity, Hutton House, The Quilt-A Breast Cancer Support Project. 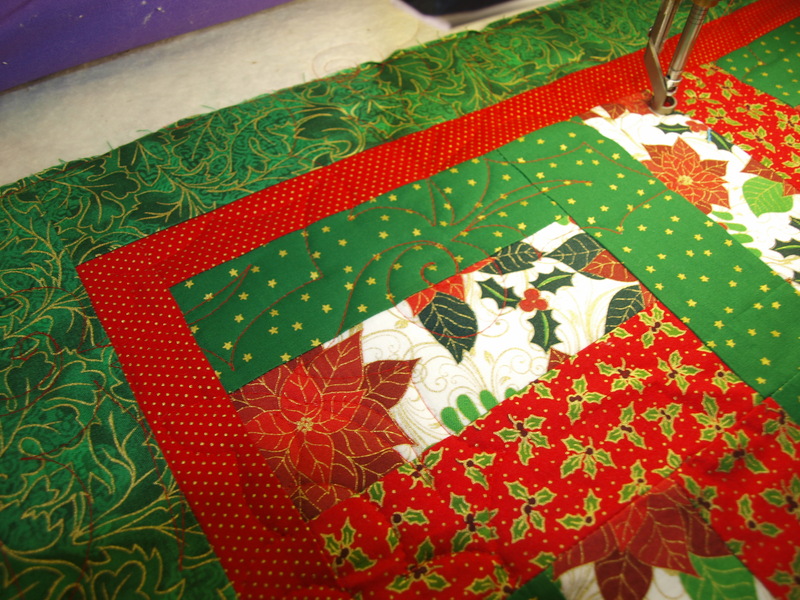 I do the long-arm quilting for the charity quilts, either an individual or an organization pieces the quilt top and then finishes the binding once I give it back to them. I used to limit how many charity quilts I quilted, as I was so busy with everything else in my life (as well as quilting) but now I quilt all of the quilts that come to me. 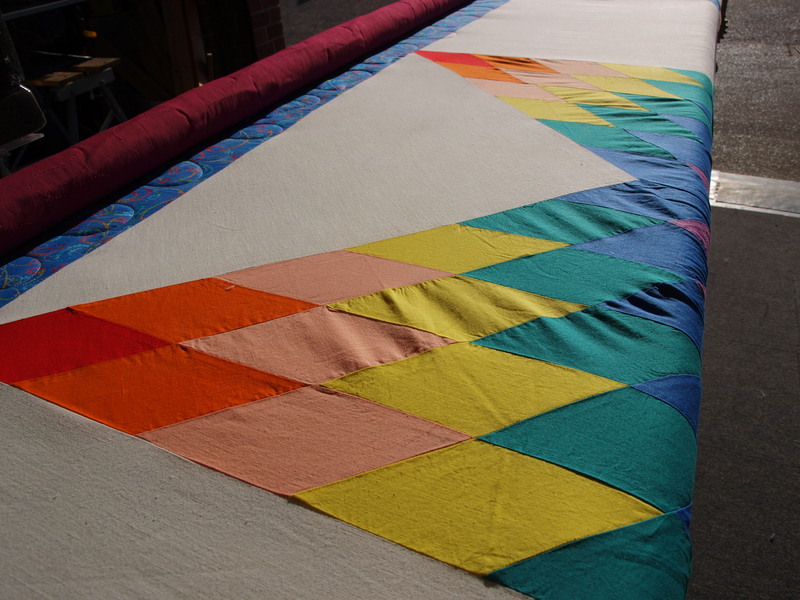 I want to see as many organisations/charities/people benefit from having a completed quilt. Usually the quilts that come to me as a charity quilt are quite scrappy and an overall quilting pattern looks great on them. 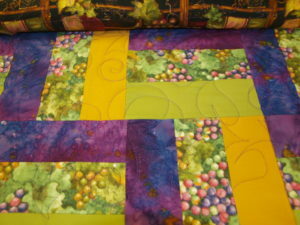 I have only custom quilted a few charity quilts; the majority were quilted with an overall pattern. 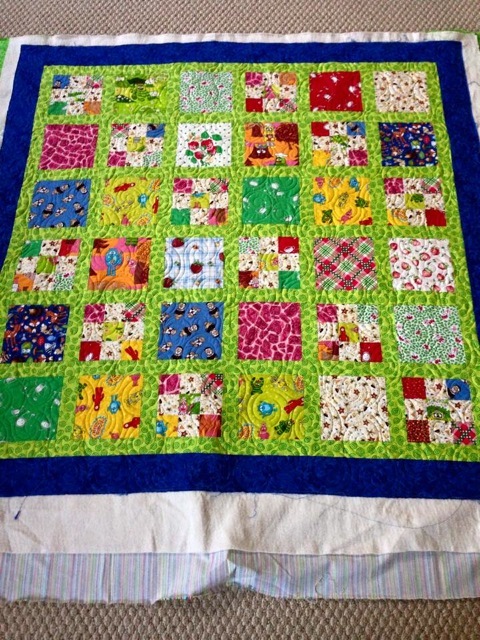 If there is a particular theme to the quilt top, then I try to match that theme – children’s quilts get more of a youthful design; floral fabrics may get a flower design etc. 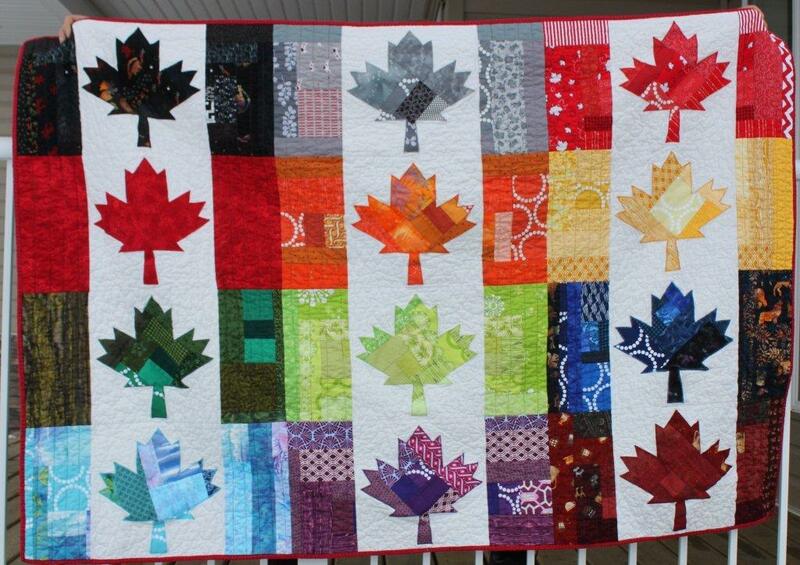 I quilt for Quilts of Valour which gives quilts to injured Canadian soldiers and quite often fabrics within the quilt top have a Canadian maple leaf, so I try to use a maple leaf quilting pattern or echo around the leaf on the fabric, just to be a little patriotic. I have lots of things I enjoy most. 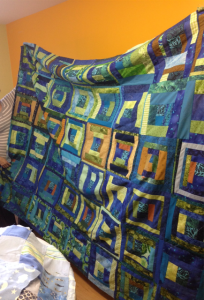 That it helps the organisation complete more quilts that they can donate. 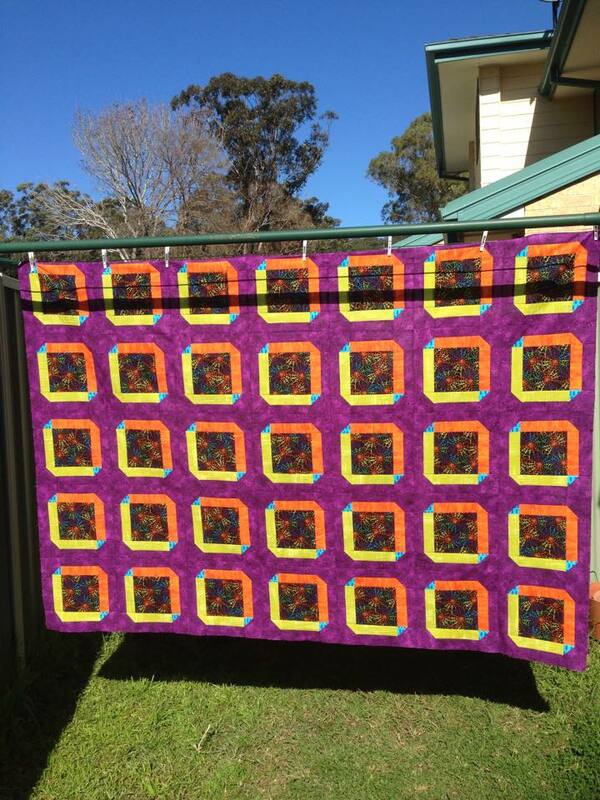 That the organisation can raise money if it is a fundraising quilt. With our London MQG Outreach programme, I enjoy helping the students complete their first quilts they have sewn. Seeing these students each week, and what they have accomplished makes my heart swell! They should be so proud of themselves. Within 1 ½ years the amount of quilts they have made is incredible. I also love that on my two trips to teach sewing and quilting, we were teaching women, so they can sew for a business and make money to support their families. We gave them a skill that will last them a lifetime. Probably the easiest way to start quilting for charity is to ask at your local quilt guild, as most of them have an outreach program. I am sure they would be overjoyed to have help! What’s your ‘process’ for doing charity quilts and does it differ from your regular quilting jobs? Eg. 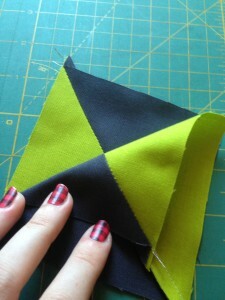 Writing up a docket with quilt’s info, deadlines, thread choices etc. The only way ‘processing’ charity quilts is different for me is that when I quilt for my customers; we discuss in length what pattern, thread colour etc. they would like. 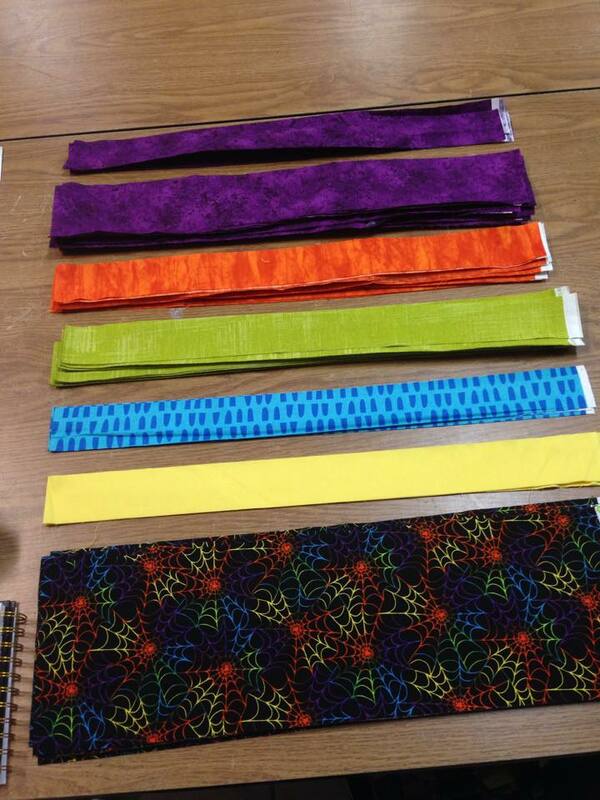 For the most part, when I quilt a charity quilt I am the one who decides on the design, thread etc. A lot of times I just pick up the quilts from guild one month and drop them off the next – and the way they are quilted is left up to me. I still make a work order for my files, so I can keep track of things. Most of the organizations I quilt for don’t have websites related specifically to charity quilting. Here is a link to our London MQG page specifically on our Outreach Learn to Quilt classes. I am a habitual collector of random images from the internet… usually cat memes and things that tickle my dark sense of humour but I also collect images that inspire and make me feel something. 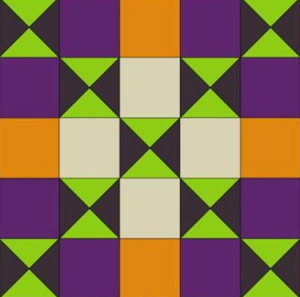 Especially if they ignite that flicker of an idea, slightly intangible at the time but one that moves more and more into a solid idea for a quilt. I have an external hard drive that is fit to bursting with images, notes for quilts, drafts for book chapters, all my phone and laptop backups and pretty much every picture I’ve ever taken with a digital device. This poor hard drive holds some of that idea intangibility but even though I rarely look at whats actually stored on there I know what’s there. It’s the promise of a design, the pattern potential and the seed of creativity that makes what I do worth getting up in the morning. Occasionally an idea will stall. It will sit there and be a bit stubborn and doesn’t want to play. I’ve had an idea for a quilt (more a wall hanging originally but it’s scale isn’t really important in this tale) that incorporates something that I’ve long believed in, practice and aim to improve within myself. It’s not religious although there is spirituality involved and the symbols I’d like to replicate in some way, are meaningful to the belief system. I’ve been looking at these images for months and nothing has jumped out at me to give me the clarification I need. I have the colours and the fabrics in mind already, I have the designs and the pattern – what eludes me is what technique to use to create them. Which might sound a little odd considering everything else is ready to go but I assure you that’s usually the stumbling block that most people find they come up against. This is me every now and then – usually when something is important or is laden with some kind of obligation (usually a gift). Have you ever been stuck like this before? How did you get unstuck? It’s well known that when disaster strikes many of us who craft are amongst the first to put our hands up to help. Natural disasters, sick children, soldiers, injured and rescue animals are just some of the worthwhile causes that quilters shave helped. Something about crafting an item and donating it to a recipient who needs it in a time of great turmoil seems to work well and bring people together. Many of you know that I am a permanent long-arm quilter for BlanketLovez. I’ve been doing it for a few years now and enjoy every minute of it. 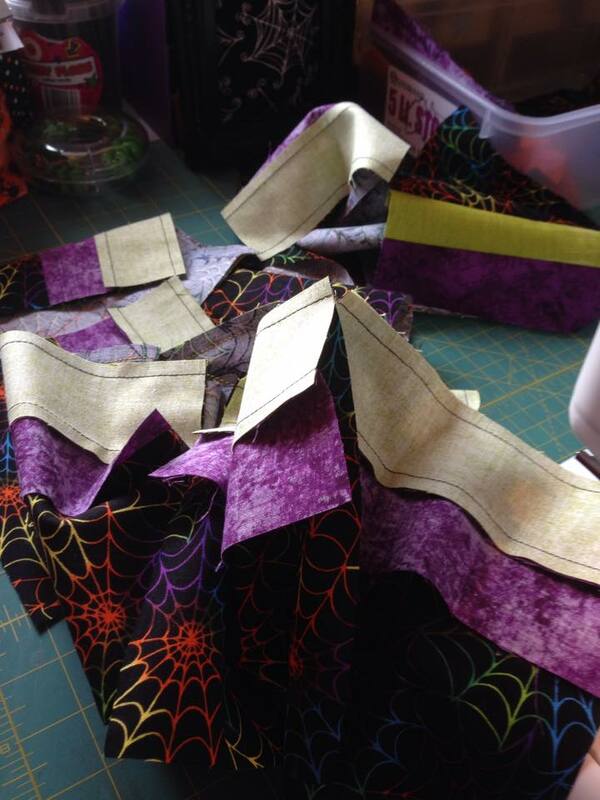 I love seeing what quilts people are making, the huge variety of fabrics that I haven’t seen (secret stash fabrics) and I love experimenting with the pantographs and free-motion. Charity quilting gives something to my quilting adventure that my own personal quilting can’t give me – there’s an overwhelming feeling of doing good with the skills I have but there’s more to it than that. It’s hard to define but if anyone ever asked me about what I do I would encourage them to give it a try and see for themselves. In this series of blogs I’ll be interviewing other quilter’s who do the same – we all quilt for charity – whatever charity that may be. 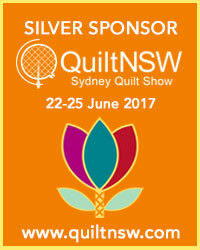 I hope you’ll join me and the fabulous quilter’s who’ll join in along the way. Making quilts is something of an obsession with me – not only is it my job but it is the one thing that keeps me going emotionally and mentally when everything else gets a bit mad. But one unfortunate side effect of making so many quilts is the fact that there is no where to keep them all unless I sell them. 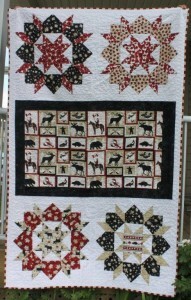 So to clear the decks a little, some of my current quilt listings are 40% off, click here to see them. All quilts are ready to post and are perfect for these cooler, rainy days. Snuggle up on the lounge underneath a handmade quilt. 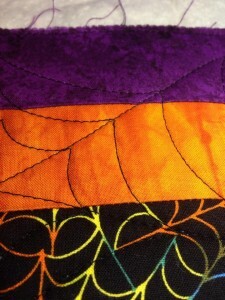 If you don’t find what you are looking for I also make quilts to order. See here for more info. So I’ve been trying to write this blog post for over a week now. It’s one of those posts that drives me nuts because I have the idea and I can see where it’s going but I just can’t get the words onto the screen in a way that doesn’t make me sound like a whiny, self-centred lunatic. Life shouldn’t be easy. But sometimes things happen that make it seem like you are copping every bad thing that’s ever happened to everyone in the history of the world (slight exaggeration there but you get what I mean) and you start to wallow… deeply… because it’s easier than trying to fight it. If life was easy it wouldn’t be life. It wouldn’t be interesting, it wouldn’t be challenging and sure as eggs it wouldn’t be fun. Lately I’ve felt like the aforementioned ^^^ wallower in self-pity, procrastinating and quite simply over it and anything that was coming my way. I was tired after a month of being ill and then trying to catch up with everything that I’d signed up for (can’t say no….) and I was just not happy within myself. I am the first to admit that I’m not the perkiest of people. If you know me or have met me you will know that I take things very seriously. I like control and I like things to be just so but even though I’m not perky (or any of the things that go with that) I am happy. I have my family, my cat, my health and my work. Things aren’t always peachy but I have it a damn sight better than lots of people out there and I am immensely grateful for that. I go through stages of what I like to think of as distance. I remove myself from my life in an emotional sense because I either cannot deal with something or I am just tired of feeling things. 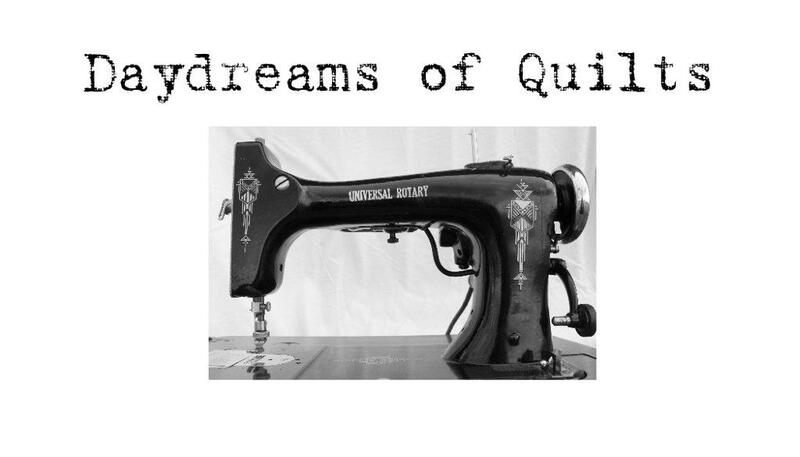 My quilting helps me with that distancing because there is nothing quite like setting up the machine and just working on a quilt, no distractions, no thoughts or feelings other than what I am putting into that quilt. All I do is stitch. I listen to the hum of the machine, and watch by the glow of the light as the stitches appear from under the needle, working their way across the fabric. And this is why I do what I do. The past few months have been difficult for me. I know there’s nothing wrong but I had serious trouble mustering much enthusiasm for anything I was doing except work related things. I think that’s why I ended up sick with bronchitis for a month… I was just exhausted. But something strange happened the other day that turned months of misery around. It was as I was rummaging around in my craft room (cleaning actually because it was a dump) and I found two things – a packet of beads that I’d forgotten I had and a small scrap of fabric. Now as I held this scrap of fabric in my hand it reached out and grabbed me, threw me back into myself and inspired me again. I basically got slapped upside the head by a scrap of fabric no bigger than my palm. Now I’m not going to show you these beads or fabric because there’s no point. These two things were meant for my eyes only. I was meant to re-discover them at that time, just for me to receive the inspiration from. If I show you they lose that kick that they had because you won’t see the same thing I did and then that makes this story the ravings of a nutter. But that’s not the point either. When you feel your worst, look around you because it literally is the smallest piece that can change your life. 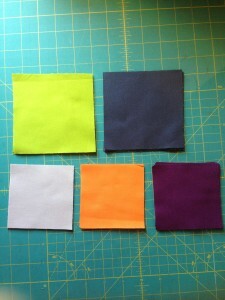 Some things in my life have changed recently and will continue to change in the coming months and in order to cope with these new avenues of opportunity I need to adjust what I’m doing here at Frankenstein’s Fabrics. 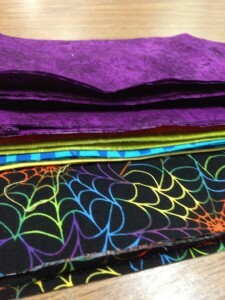 So I’m shifting my focus to be more on the machine quilting side of things and less of stocking fabrics and supplies. I will still stock some things and will be happy to order in things for you but there will be less stock. I’m having a stock clearance with pretty much everything* go at 50% off starting tomorrow (Sunday 12th April) and running until there is nothing left. I will pop up the code you need for the checkout and then you can start shopping. Payments will be made through Paypal or credit card. *There will be a list of items included in the 50% off – pending.